Are you debating buying an older home in need of renovations? 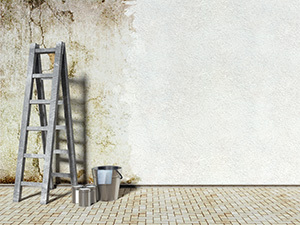 Or do you already own a vintage property and are wondering what to do—knock it down or renovate? Historical homes are full of history, every wall holds a story, and every room holds a purpose. As the generations roll on by, older remolded homes stand stoic, telling stories that span many generations, through great times and intense struggles. If you planning home remodel soon, learning about past renovations can help you decide which projects to focus on, and which to put off. Here we discuss some of the oldest remodeled homes throughout Canada, as well as tips for getting your own home remodel started in the right direction. Canada has many historical homes and properties; some serve as private residences and others public destinations. For instance, The Banff Springs Hotel located in Alberta Canada was originally constructed at the end of the 1880’s, and on June 1, 1888 the hotel opened for business. Today you can still enjoy the history and charm that surrounds this place. Many renovations have since taken place on this supposedly haunted premise, largely because the original construction involved a few mishaps. Such as the gorgeous mountains in the backdrop were forgotten and the $250,000 original construction was built with its back to the hills. Old homes and hotels are not necessarily perfect, although with a few key updates they can be made just right (Read More). Another wonderful thing about an older home remodel is that they show off styles that have largely come to pass; in the mid 1900’s Canada was all about Victorian style architect, case and point look at Toronto’s St. Michael’s Cathedral (built in 1845). Or Toronto’s Old City Hall building, built back in 1899 it still stands today, its Victorian beauty and sharp pointed roof details stand out beside more modern day skyscrapers (More Information). That’s one of the greatest things about remodeling older homes and structures, they are guaranteed to stand out and be uniquely different. While old hotels and city hall buildings might be too much for you, a well-renovated older home can draw just as much attention. So where do you begin when it comes to an antique home remodel? Old houses have unmatched character, once you fall in love with one there’s no going back. A good home remodel adds modern elements that make a home more functional and safe, and a GREAT home remodel keeps classic elements from the original design in tact. Every shingle and authentic brick tells its own tale; the thought alone might already excite you but before you run out and buy a saw and hammer know that a successful home remodel starts with a set of clear goals and questions. How fast do you want to move through the renovations? What areas are most important to fix first? What is your overall budget? 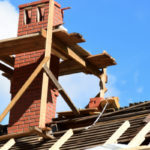 Of course safety should always be at the forefront of your mind, if the structure of a house is not stable this should be addressed right away. The largest problems often found during an older home remodel rests within the foundation, which can be crumbly, leaky, and overall unstable. 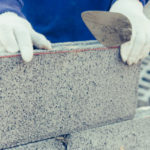 For most renovations this is the first step you want to begin with, once the foundation is stable the more visible elements can be tended to. If you notice bricks are crumbling and cracking this will also need immediate attention so that larger problems are not able to accumulate. Poor installation is another big problem older homes often endure, adding insulation can reduce your electricity bills—virtually paying for itself over time. 1. Use that dusty old attic or basement to increase square footage and your home’s value. Turn otherwise useless space it into an office, playroom, or spare room your family will love. 2. Sometimes keeping the original work on a house, say for instance a set of blue eaves or gorgeous brick window frames, is not possible because the wear and tear is just too much. Although it’s these original details that make antique homes so special. Thankfully, with the right eye for detail you can recreate new additions that look just like the old. 3. Older homes often hold valuable secrets behind strange wallpapers or beneath soiled carpets. Perhaps an antique wood floor is hiding under dingy carpets, just waiting to be buffed and restored to its original glossy glamor. And behind that off-white plaster might wait a gorgeous brick wall. Always keep an open mind, you never know what you might discover and be able to incorporate. 4. 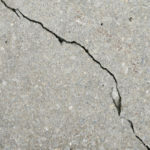 Oftentimes older homes have slanting, loose, or cracked concrete, allowing water to seep right in and create problems in the future. 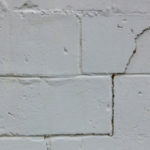 Make sure to replace any damaged concrete, although concrete material is still recommended. Properly laid concrete is durable, reduces the risk for water damage, and can provide a fresh look to any property.